Our highly qualified technicians are here to provide exceptional service for your New or previously serviced Nissan in a timely manner. From Nissan oil changes to transmission replacements, we are dedicated to maintaining top tier customer service. Allow our staff to demonstrate our commitment to excellence. Ross Nissan of El Monte is your source for genuine Nissan Auto Parts and Accessories in the greater Los Angeles area. Genuine Nissan Parts have the best fitment and quality needed to get your vehicle running correctly. Unlike aftermarket parts, genuine Nissan parts are designed to the exact specifications Nissan intended for use in your Nissan vehicle. From before you even walk into our showroom to long after you drive home, all of our customers here at Ross Nissan of El Monte are customers for life. Being car-owners ourselves, it's only fitting that we'd provide our drivers with the kind of courtesy, service and respect that we would expect. It all starts with our extensive lineup of fabulous new and used Nissan models. Whether you're looking for something for the whole family to enjoy or something to spice up your daily commute, the world is your oyster when you consider the lineup of vehicles we carry. When a new vehicle isn't in the budget, there's no need to worry. We also carry a huge selection of used vehicles, which are great purchases for their affordability and potential value retention. 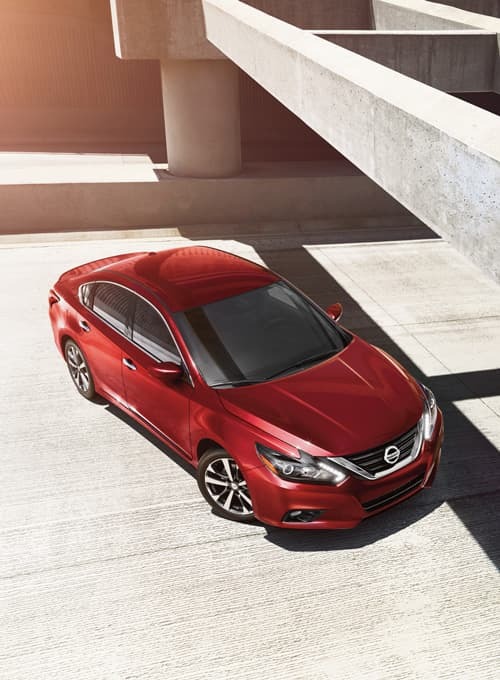 Your used vehicle purchase becomes even better when it's a Certified Pre-Owned (CPO) Nissan. Every CPO Nissan is six years or newer with less than 80,000 miles, and has passed a 167-point quality inspection. They come covered with a seven-year or 100,000 mile limited warranty, 24 hour emergency roadside assistance, and car rental reimbursement and towing benefits. From there, the experts in our car service and maintenance department will be there to make sure that your vehicle will continue to run as smoothly as it did on Day One. Or if you're looking do some upgrades with the latest and greatest Nissan parts on the market, you can trust the experts at Ross Nissan of El Monte cover your automotive needs. The service never stops once you visit us here at Ross Nissan of El Monte. There's never been a better time to drop on by at our dealership here in 3428 N Peck Road El Monte, California, proudly serving drivers from Los Angeles, Alhambra, La Puente and Baldwin Park. We're very much looking forward to it. I enjoyed my visit, they were helpful kind and VERY QUICK to advise me on the options they had to best fit my needs. Chose a car, was walked through our agreement (the staff is very transparent and clear on the terms of our agreement) & happily walked out with the car! This is what a car buying experience should be like! This is what a car buying experience should be like! Alex, the owner, made everything so simple and easy for us. I can't thank him enough; he found the exact car I was looking for and paperwork was minimal and took less than twenty minutes. The whole experience took less than an hour and we were out of there with the car of our dreams in no time. I want to stay with them for life! Car City took care of my needs for a car multiple times. I trust them with not hiding flaws, and for that you don't haggle with the price. The service has always been fast, personable, professional and thorough. I want to stay with them for life!